NHL News : McDavid to request trade out of Edmonton if they miss the playoffs?! McDavid to request trade out of Edmonton if they miss the playoffs?! This is getting out of hand now… is it too much for the star captain? The Edmonton Oilers’ playoff hopes have been fading despite the Western Conference team trying everything it can to clinch a spot. 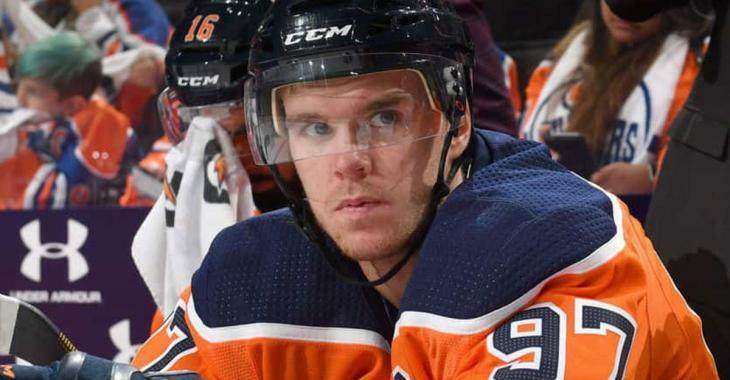 There has been a lot of chatter that captain Connor McDavid might be too fed up with his team to stick around, so much, that Pierre LeBrun had to clear up the situation during Thursday night’s edition of Insider Trading on TSN. “Well not any time soon, if ever, really. But I can tell you this. My understanding is Connor McDavid is fully invested in seeing this franchise turn things around. Obviously the general manager hire looms large and so does the coaching decision. He’s part of wanting this to go right. He’s not looking for reasons to look elsewhere so that’s important. It’s not surprising. If you know Connor McDavid you know he’s not looking for any copouts,” started off LeBrun. However, the insider believes something drastic will have to take place in the next seasons, or else we could see McDavid wanting out of Edmonton.